This month of April 2018 is special for VallJet: the company will celebrate its 10th year anniversary. Ten years that it has used to expand its network of customers, but also strengthen its fleet of aircraft to meet the market’s requirements. The birth of the company is the result of two men having met, Jean Valli and Waldemar Kita, and their interest in business aviation. A bit like a love story, pragmatism and more. 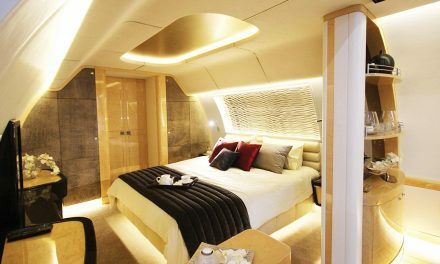 Seduced by the flexibility it can bring to help them develop their businesses and through discussions with their then-pilot, Richard Imboden, the leaders, who had both bought the same type of aircraft, the Citation II, decide very quickly to build their own structure. We were then in 2007, when the business aviation industry saw a fast evolution and an important development potential for the years to come. Their idea is to create a private airline company with “real costs” to democratize this service and make it more accessible. In April 2008, VallJet was officially created as they obtained their air carrier certificate by the Directorate General of Civil Aviation (DGAC). VallJet then had only one aircraft, a Cessna Citation II, to which they added a second jet of the same type two months later, both of which being based in Paris airports: Le Bourget and Cannes. In 2009, VallJet bought Ocean Airlines and recovered the aircraft operated by this company, a Beechcraft 90, a Beechcraft 200 and a Citation I. VallJet is also enhanced by two confirmed pilots. 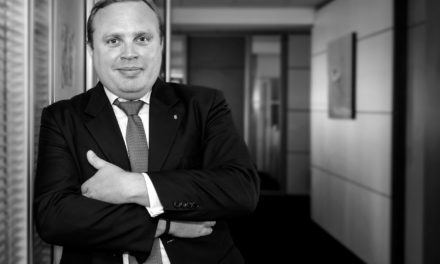 This acquisition allows the young company to grow quickly but without the “scissors effect” that could affect its stability. The entry into service of new aircraft enabled VallJet to continue its growth in a sustainable way for five years. From 2010 to 2015, in addition to the acquisition of two additional Cessna Citation IIs, the company expanded its customer base. The post-crisis period is difficult for business aircraft operators, but despite the competition, “VallJet managed to weather the economic turbulence of its sector, in particular by building customer loyalty and establishing, more than any other company of this sector in France, a relationship of trust and synergy with them” says Richard Imboden, Head of Training and Head of the Cessna sector within the company. Over the years, it has drawn on the benefits of its experience to develop new markets, particularly with major French and European groups. “The operating mode coupled with the harmonization of its fleet, has allowed VallJet to offer very competitive rates since its inception,” said R. Imboden before adding “These give us the opportunity to address small and medium firms which are usually reluctant to use this type of transport”. This analysis and the arrival of a fifth Citation II will force VallJet to begin a period of reflection on its activity and its growth in 2016. The company developed the creation of a new aircraft sector: Hawker. At the end of 2016, the company bought a Hawker 800XP. 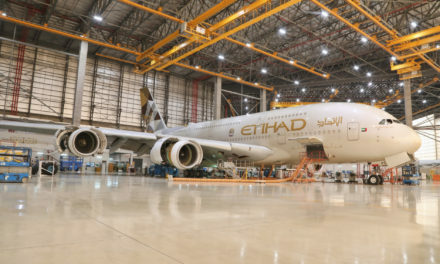 The arrival of this new aircraft is a small revolution for the operator since this jet can carry 8 passengers and two crew members over an average distance of 4,600 km. “With this aircraft, VallJet can now offer its customers new horizons, especially to Africa, the Middle East and Eastern Europe,” adds Richard Imboden. The Hawker fleet developed at the end of 2017 by integrating two Hawkers on behalf of owners: an 800XP and a 900XP. In total, three Hawkers make up the fleet. This should still evolve with the entry into service of a fourth jet, a 900XP by mid-2018. 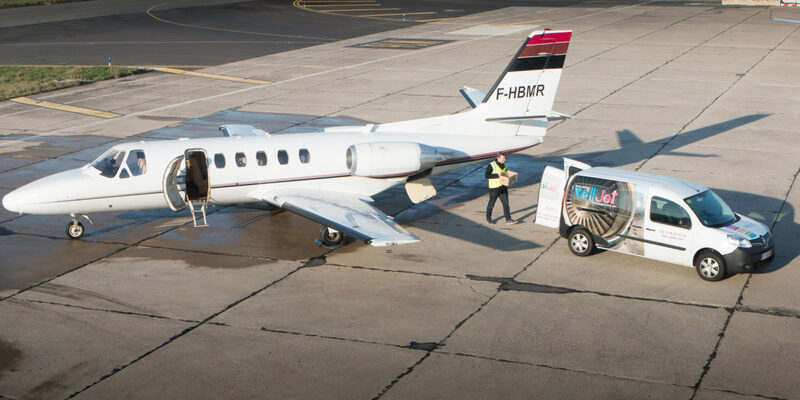 On its own, the Hawker “sector” will allow VallJet to develop new markets and thus match the European competition, again, with particularly attractive rates thanks to the Cessna as well as the Hawker sector. In this anniversary year, 2018 promises to be the beginning of a new era for the Valljet team of about thirty people. After the expansion of its Hawker fleet spread over the years 2016 and 2017, the operator takes a new leap with the arrival of a Citation CJ. This aircraft marks a turning point in the VallJet’s Cessna range. More recent than the Citation II, the jet, privately operated on behalf of an owner since 2016, “will integrate the certified fleet for public transport this year,” says Richard. Furthermore, the arrival of this new aircraft could eventually sign the end of the Citation II at VallJet, as confirmed by Mr. Imboden: “This first Citation CJ will allow us to launch and develop this new sector within the company. In fact, obtaining and integrating a CTA dedicated to this type of machine will eventually allow us to accept any version of Citation CJ (CJ3, CJ4 …) “. 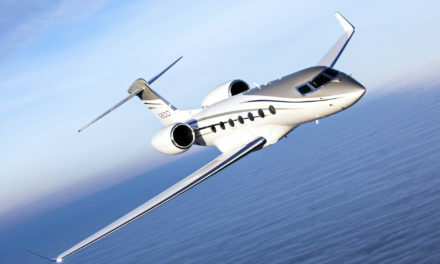 The idea is obviously that in the medium term the company free themselves of the Citation II and switch to CJ versions. “The CJ is the logical continuation of the Citation II, that’s why it was preferred to other aircraft currently on the market,” adds Richard Imboden. Gulfstream G500 Filght Test : My Best Ride…Period! !